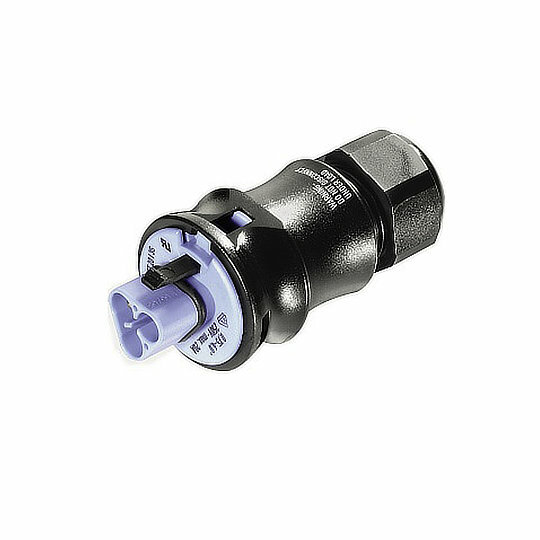 The RST series of waterproof circular connectors from Wieland are ruggedly built connectors with twist-lock type couplings and sealed to IP68 or IP69. They can be used in-line with cable to cable connections or for cable to panel mount connections, with a choice of either end been a male or female connection. The RST series is fully modular allowing for multiple connections to be quickly made via a single distribution unit saving time and cost when temporary or permanent electrical systems are required. Designed for panel cut-outs of 16.2mm, 25.2mm or 32.2mm with a choice of 2, 3, 4 or 5pin brass contacts from with screw style terminations. Electrically rated to 250VAC or 400VAC in a choice of 16A, 20A, 25A, 32A or 50A depending on model. The RST series is perfect for industrial and building applications such as Underground Garages, Greenhouses, Shipbuilding, Industrial Control Panels and Periodic Maintenance Work.